Sometimes everyone make mistakes, even usually rather intelligent beings might succumb to peer pressure and read something like Veronica Roth’s “Divergent”. These kinds of mistakes are not altogether bad and useless, but they show a clearer path to good literature and how to really spend your time…. Divergent is a dystopian young adult novel – meaning the characters are teenagers and the world is in some or other disarray. In Veronica Roth’s world there has been a war, after which humans have divided themselves into factions according to the reasons what they thought were the ones behind the horrible wars (that reminded me of the national socialist movement in Germany after the first world war, as they were anti-semitic and blamed the jewish people for making Germany lose the war). Not too surprisingly the factions are distinguishable by the way they dress and the way they act and what they think is most important in life. The book follows a girl named Beatrice (Tris) Prime, who was raised in the faction Abnegation, where people are selfless and are supposed to put everyone else ahead of themselves. Every year the then sixteen-year-olds have to go through tests to find out to witch faction the fit and then have to choose one. Hmm… tests…. choosing… do we have to fight a dragon? It seems these kinds of situations where a choice is made that divides the teenagers or children into recognizable groups that don’t necessarily get along, is a must-have for any young-adult novel…. And there the problems start. But you can read about that in the book if you’re that way inclined. However you won’t miss much if you don’t pick this book up, as it’s a standard – training/learning situation, some teenage romance and violence and a war in the end of the book. Yippee! For me the book just didn’t not even feel believable, even the factions – what exactly must happen to humankind so that they’d think there’s One reason behind the past war/wars???? So why is it such a hit among teenagers? Because it does keep you reading, and as long as you don’t have high standards for the books you pick up and read – it’s as good as anything published in this century. However if you’d prefer to read something similar, but critically acclaimed – read Golding’s “The Lord of the Flies” if you want to have kids fighting and killing, and Aldous Huxley’s “Brave New World” or George Orwell’s “1984” or Ray Bradbury’s “Fahrenheit 451” if you want a good dystopia. 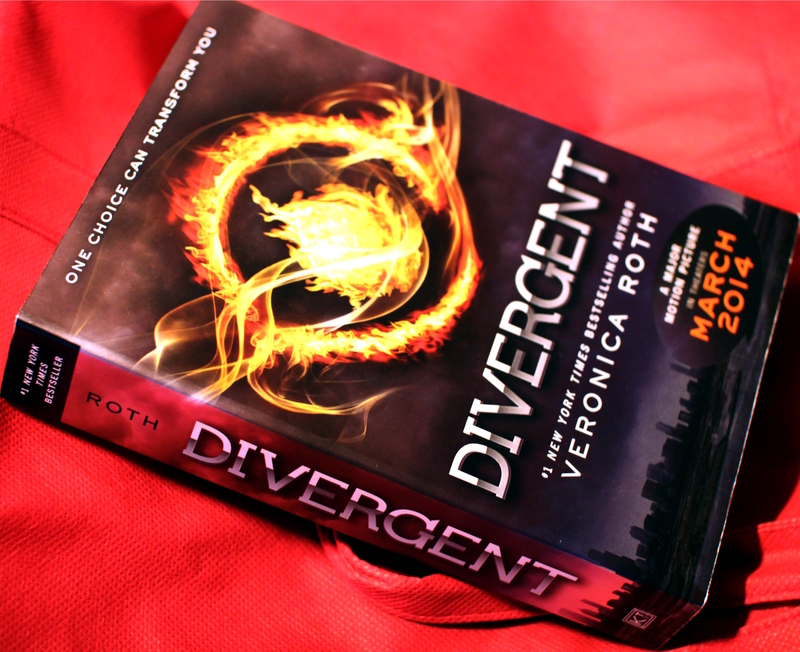 This entry was posted in Fiction and tagged book review, Divergent, Veronica Roth. Bookmark the permalink.